Door stoppers serve a noble purpose in your house. Nine out of ten times they are ugly and very inconvenient to have laying around though, especially for your tiny, fragile toes. 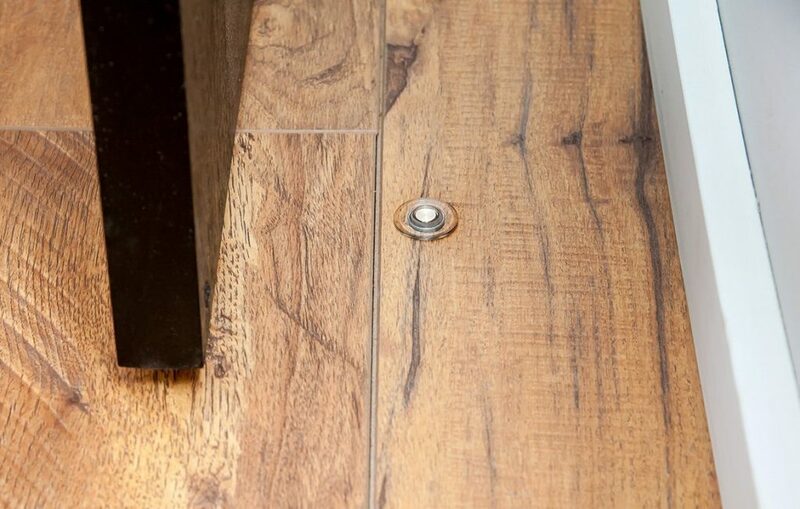 This magnetic door stopper idea is a stroke of genius and from the category ‘I wish I came up with that’. It seems as there is no right balance between weight and form factor to be found for door stoppers. You can get a fancy, creatively designed one to battle the ugliness of a regular door stopper, but I’d rather not see anything near my door. The Fantom magnetic doorstop is seamless, elegant and does what it needs to do. It stops your door. It does require you to take some effort and drill some holes (get someone to assist you if needed), but once that’s done you’d wish you did this earlier. If you’re worried about the magnet not responding fast enough to fast swinging doors, don’t worry. The strength of the magnet activates the pin in 2/25th’s of a second so you’ll have to be a door swinging Olympic champion to beat it!